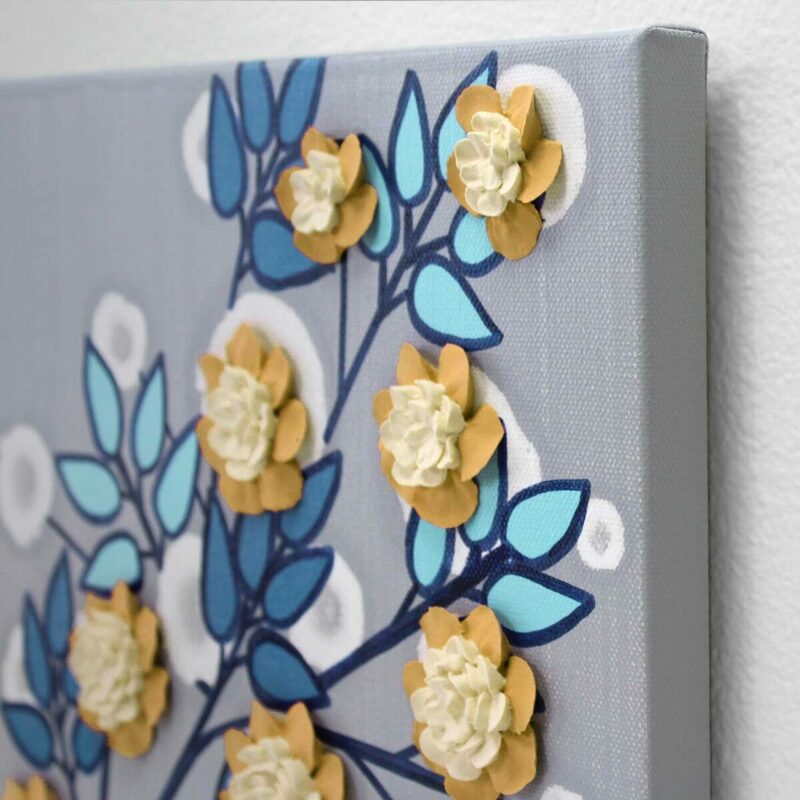 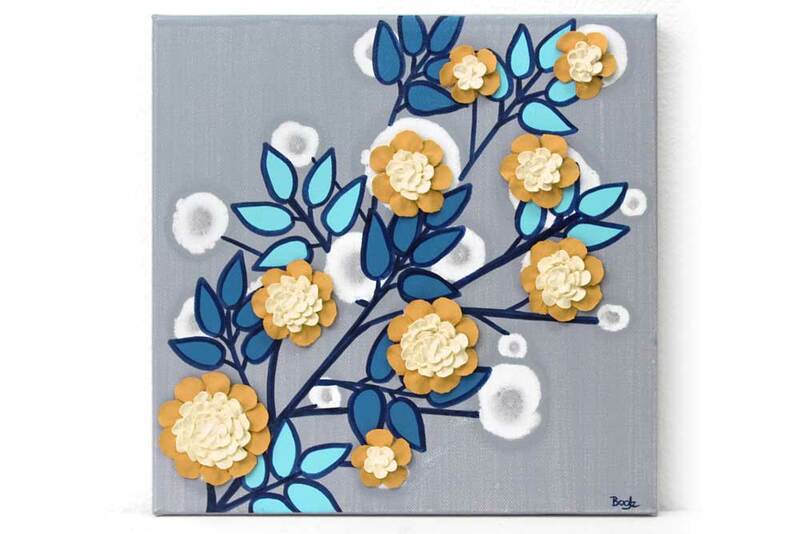 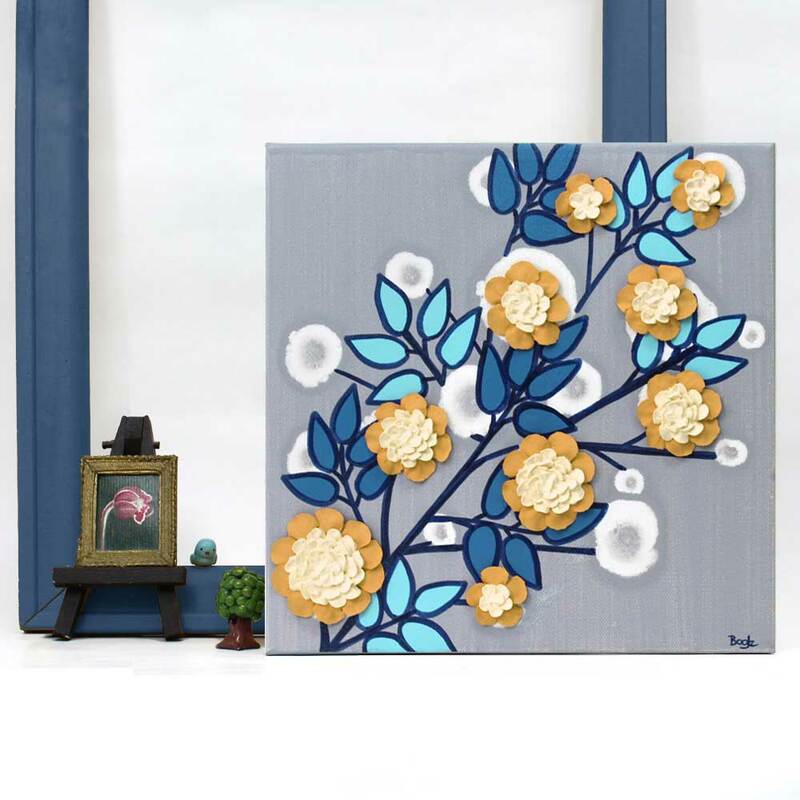 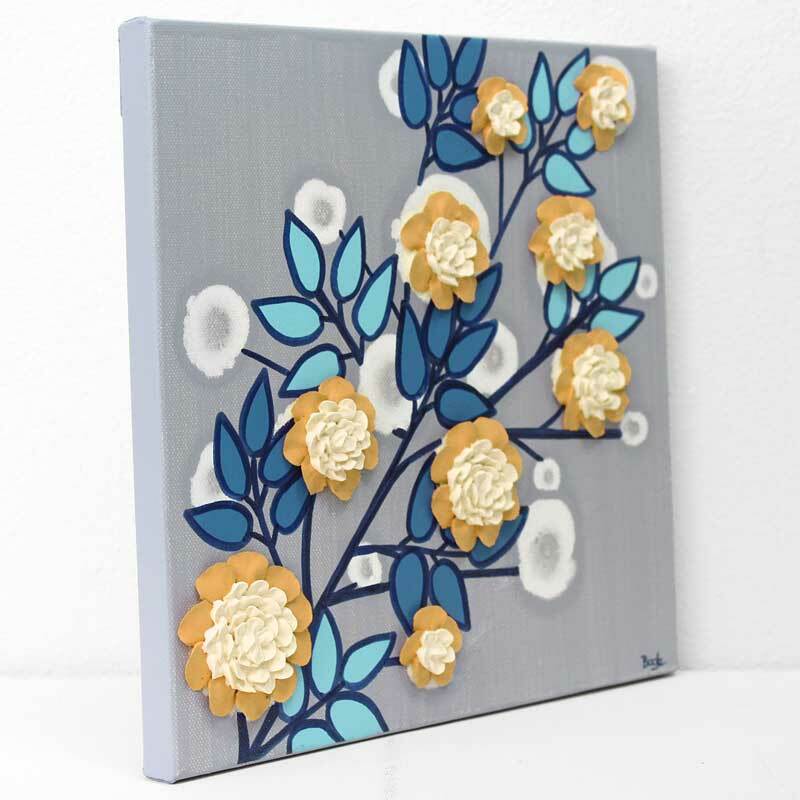 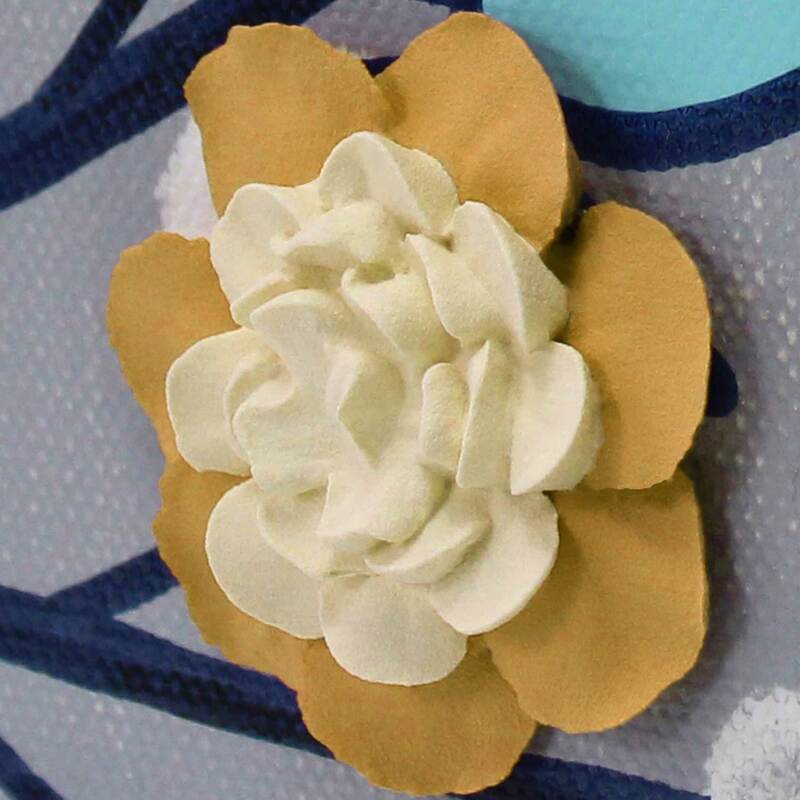 This Scandinavian inspired flower painting features hand-sculpted flowers in two toned yellow. 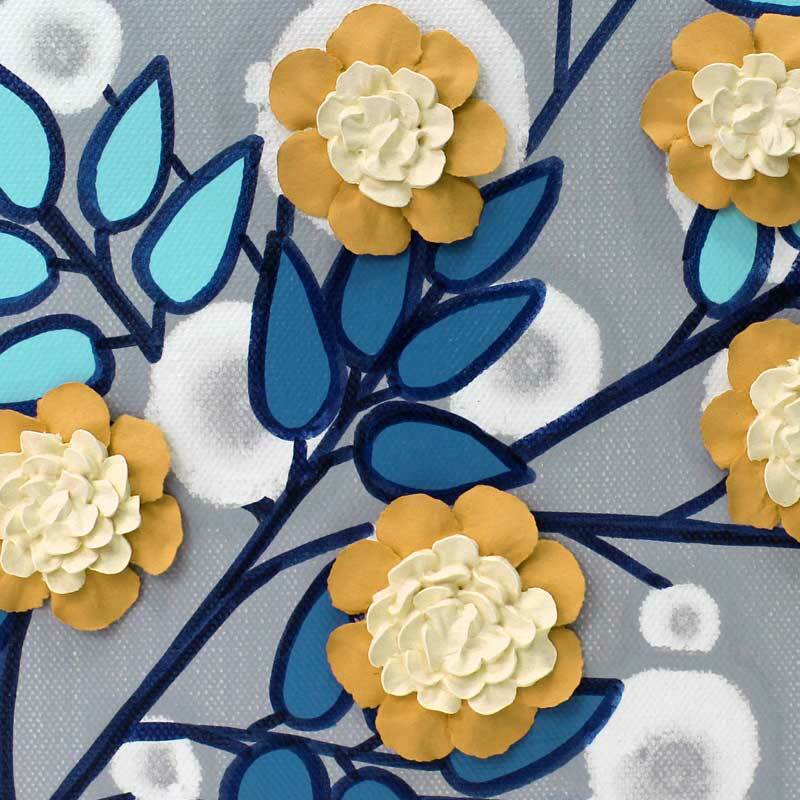 Aqua and blue lake leaves are outlined in indigo India ink. 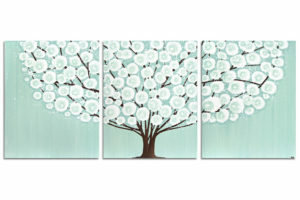 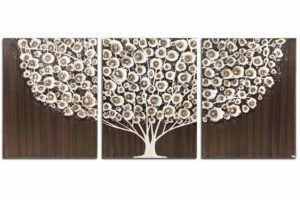 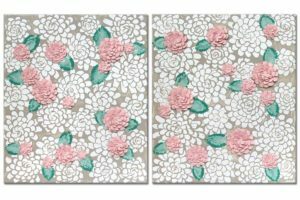 Hang this small canvas wall art in a group or as a small accent.